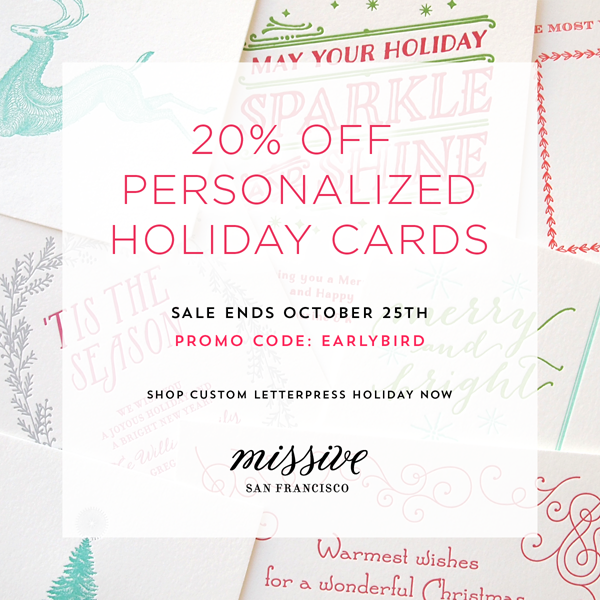 We're having a sale on our personalized letterpress holiday card collection! If you place your custom order by October 25th, you'll save 20% on your holiday cards, including upgrades such as fancy die cut corners, festive sparkle paper envelope lining, and our luxe, double-thick cotton paper. 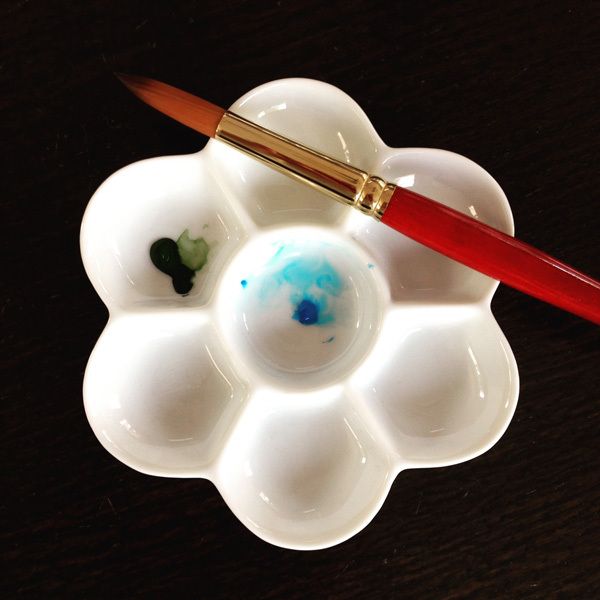 Just enter promo code EARLYBIRD at checkout to receive this special discount. 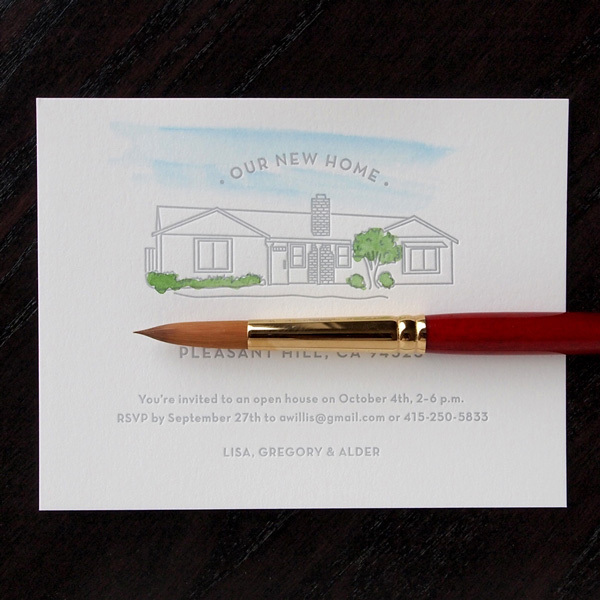 Moving to a new home is the perfect occasion for a custom letterpress moving announcement. 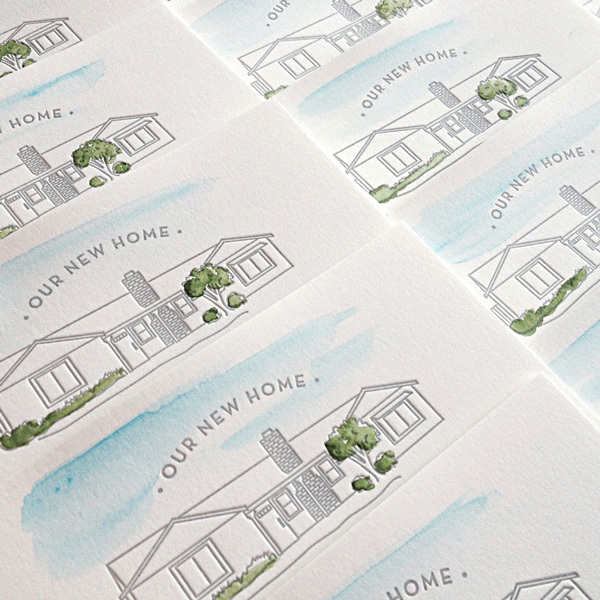 This letterpress change of address card features a simplified architectural drawing of the new home, printed in a matte silver ink with just a touch of hand watercolored details. 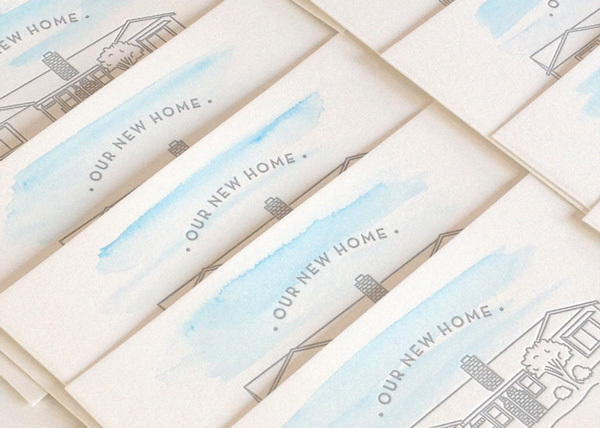 Each card received a wash of sky blue watercolor and a bit of green landscape to add a pop of color to the final design—no two cards are identical! 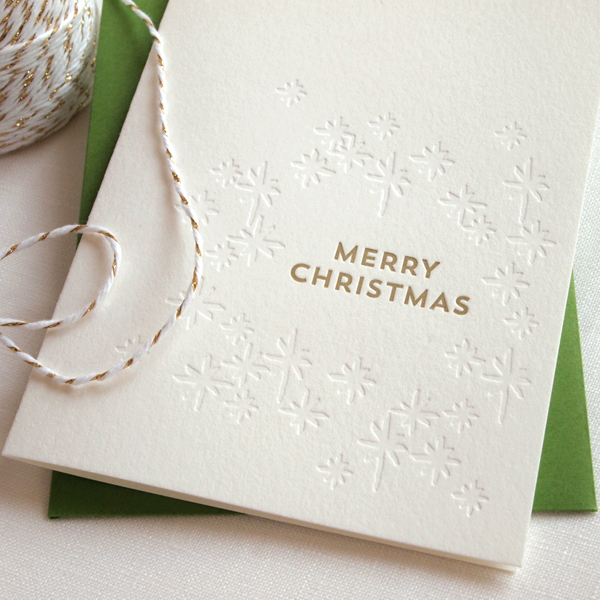 New letterpress holiday cards are in stock now! Send modern holiday vibes this season with our Gathered Stars card. This design features a tactile blind impression star pattern with matte gold text and is paired with bright green envelopes. 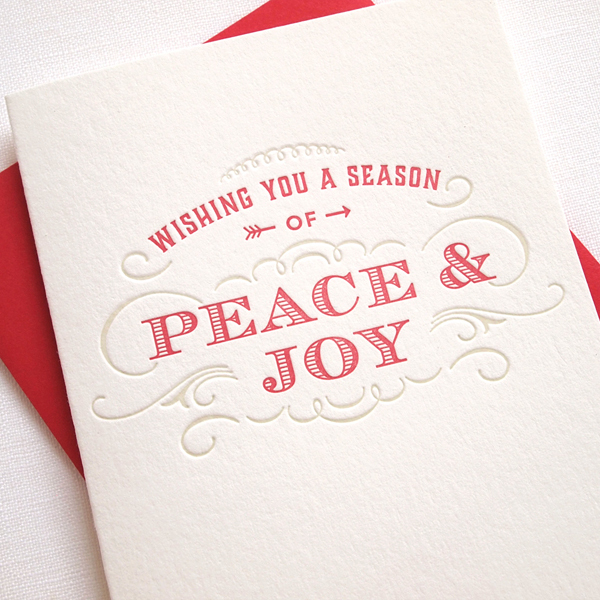 Our Peace and Joy card combines vintage style printer's ornaments and typography for a classic look. These new holiday cards are available as both single cards and boxed sets. We've printed a limited run of these this season, so grab them early! 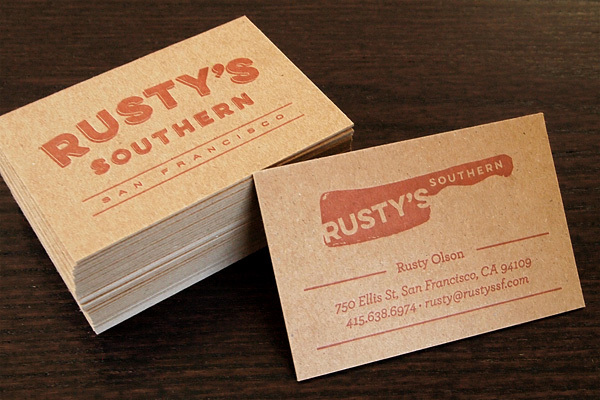 We recently printed these letterpress business cards, coasters and notecards for Rusty's Southern, a new Southern-inspired restaurant in San Francisco. 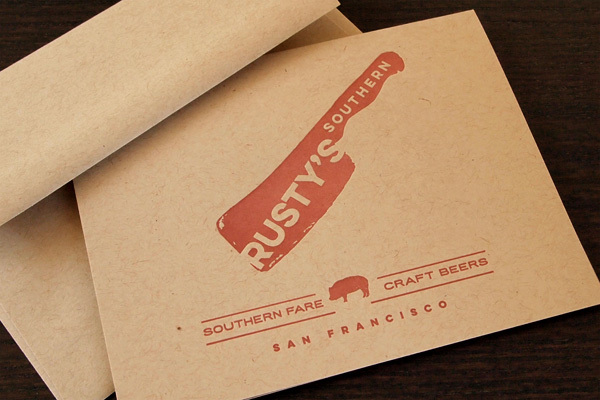 Designed by Bucktrout Creative, this rustic suite features a custom Pantone ink color and recycled kraft stocks. 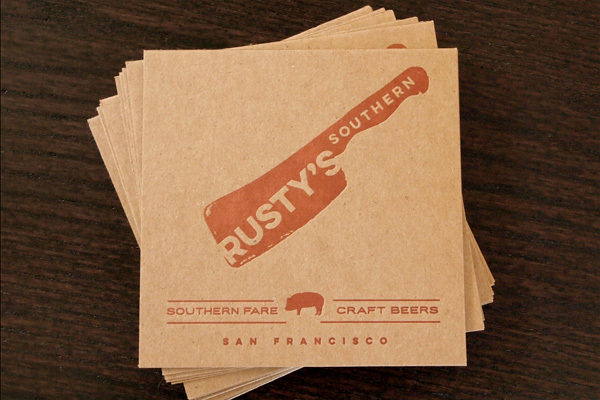 The business cards and beer mats were printed on a heavy weight kraft chipboard and the folded note cards were printed on a lighter weight kraft cover and paired with matching envelopes.